The State government has responded to questions about the withdrawal of tenancy advice funding in a variety of ways since last year. The following outlines why these responses fail to negate the need to have independent tenant advice services in Queensland. $45M in interest was generated on tenants bonds last financial year while they were held in trust by the government authority – the program is not a drain on taxpayers, it is self-funded. The entire statewide program of tenancy advice could be run at the level it was prior to funding withdrawal on less than 15% of the interest generated last year, i.e. less than $7M per year. Increased numbers of people are entering and remaining in the private rental sector for longer periods of time. The value of tenant bonds, and the interest generated, is increasing every year. As a community, we are better able, not less able, to support an independent tenancy advice service with this interest. The role of the RTA requires them to be impartial, they do not give advice or advocate for any party to a tenancy agreement. The average call to the RTA information service takes less than 5 minutes. The average call to a tenant advice service is 54 minutes because they go into the specific details of the client’s situation and provide advice not simply information. Tenant advice services will increase the level of support and see clients face to face when required. Staff at the RTA are unable to do this. In the last year of state funding, tenant advice services provided 24,000 hours of representation for Queensland tenants to their landlords, real estate agents or in the tenancy tribunal. The RTA do not do this. The Qld Commission of Audit said the government shouldn’t provide a service unless there is no other efficient alternative. The decision to expand a centralised government service at the expense of outsourced community-based services contradicts this. The government said it would retain front line services. Tenant advice services are front line services – they are available in local communities across the state rather than the central Brisbane location of the government authority. There is a lot of research about the overwhelming demand for CLC services both in Queensland and nationally, they simply do not have the capacity to meet the needs of a new client group. In the last full year of funding approximately 80,000 renting households used a tenancy advice service. CLCs have come out publicly to say they will not cope with this new demand and it will push people with other needs out. CLCs are unlikely to have the specialised tenancy law knowledge that tenant advice services have. It is good for the government to invest in more social housing but it is a core government responsibility which taxpayers pay for. Tenants already pay their taxes and should not be hit with what amounts to a tax on renting (i.e. 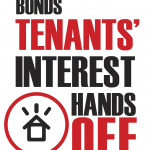 the withdrawal of their bond interest-funded tenant services). It will always be the case that most people who rent will live in the private sector rather than in social housing. One third of Queensland households rent their home and only about 3 or 4% of households live in social housing. This will not change and those in the private rental sector need to be supported to live as safely and securely as possible, thereby reducing demand for social housing. A housing and homelessness strategy without a focus on the private rental sector, is doomed to fail. People living in the private rental market are the most likely to be living in poverty after paying their housing costs. At the same time as discontinuing the tenant advice program, the government reintroduced stamp duty exemptions for repeat home purchasers, They are estimated to cost around $250M per year in lost revenue, 40 times more than the cost of the statewide network of tenancy advice. If the government wants to deliver more social housing they should not make those on the lowest rung of the housing ladder pay for it – why reintroduce stamp duty concessions for repeat home purchasers at the same time? 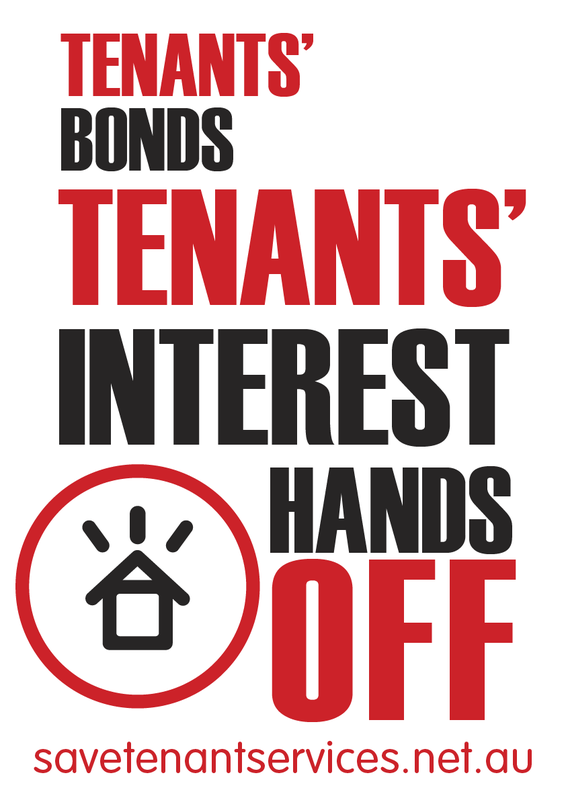 In the late to mid 1980s tenants lobbied for the centralised collections of bonds. A law was passed in 1989 to achieve this, which has resulted in last year’s record $45M in bond interest. The interest on tenants’ bond monies fully funds services provided through the government authority to lessors and real estate agents, costing those groups nothing. In this way, tenants support the whole industry through their bond interest but are being denied independent specialist services. For the first time in many years there is no tenant representative on the Residential Tenancies Authority Board – while nominees from the Real Estate Institute and the Property Owners Association were reappointed recently, the representative for tenants’ interest was not. Tenants’ bond interest fully funds the RTA and the board but their interests are not directly represented. At the same time as withdrawing funding from tenant advice services, the government is reviewing tenancy law, ultimately the RTA board decides what legislative changes are recommended to the Minister – tenants’ interest are not represented.